My name is Don and I’m a recovering alcoholic and drug user with over 27 years of sobriety. 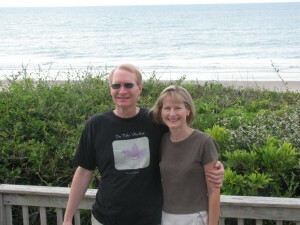 My wife Susan and I have been involved in building offline and online businesses for over 25 years. We have had very low points, including bankruptcy in our early days, and we are now enjoying great success. We own our own home, boat, cars, and have a steady stream of income that has provided a lifestyle that, at one time, we could only imagine in our wildest dreams. Now please note, I’m not bragging here as my early genius landed us in bankruptcy. My point is that I have learned a few key lessons over the years from some truly wonderful people, masters, and mentors and would like to share some of these insights with you in hopes that you can avoid some of the early pitfalls that we experienced. One thing is certain-we always had a DREAM and we were determined! This site is has a lot to do with visualization. Getting so clear about where you want to go in life that you are able to live “from” that place in your imagination. Eventually, you create a physical world that matches or is even better than you had imagined! I believe fully in everything I’ve written in these pages. If you have an issue with using God as your source of creation, then please feel free to use the Universe, Buddha, Allah, Jehova, Spirit, Lord, Almighty, or any other word for “creator” as you feel comfortable. We will be using different terms throughout these pages. There is only one requirement for these concepts to work for you. You must “agree” that there is absolutely a form of energy life force that is far greater than anything we can imagine on earth. I know in my heart that, left to my own devices, I would not be here today to write this to you without this belief. I’ve spent the majority of the last three decades working on myself in many respects. I hope the content of this site will act as a guide and maybe a chance to learn more about yourself. By sharing this with you, I get the selfish pleasure of continuing to grow myself. I look forward to your comments and “ah ha” moments as we continue this journey together. Thanks for stopping by and I wish you all the best of success in your journey.